The lab has grown considerably in the last month. Welcome to postdocs Ivi and Kaitlin and Master’s student Jessica. 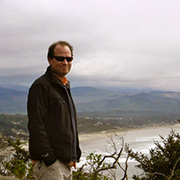 Andy Jones is an Assistant Professor in the Botany and Plant Pathology Department at Oregon State University. He has broad interests in the ecological and evolutionary mechanisms responsible for the origin and maintenance of plant diversity. Dr. Jones is a Research Associate at the Smithsonian Tropical Research Institute.